Significantly increase your ROI by creating more sales from your existing page traffic (i.e. without any extra expenses). Crucial efficiency optimization before scaling up your advertising budget. 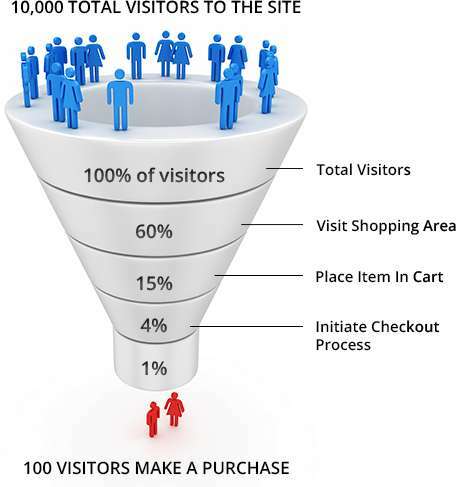 Conversion optimization is more cost-effective than spending time on finding more page visitors. We use analytics to track users while they browse your page and identify possible hurdles/blockers that are causing high drop-out rates. Visualize the “user flow” (steps taken by your visitors) as they go through your website before they sign up, make a purchase or inquire about your services. We will offer you advice on how you can better “connect” with your visitors, smoothen out processes and improve the overall customer experience.